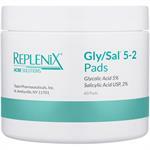 Glycolic acid may be the primary ingredient in the Glycolix formulas, but it most certainly isn’t the only one. The products in this skin care line also take advantage of the benefits of liposomal vitamins A, C, and E, green tea extract, hydroquinone and Co-Q10. These components aid in protecting against and minimizing free radical damage to the skin. The combined power of all of these ingredients fights sagging, wrinkles, pigmentation issues, acne, redness and more. 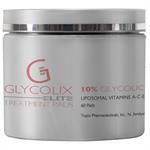 DrSkinSpa.com is an Authorized Retailer of Glycolix. All Products are Guaranteed Authentic & Fresh. 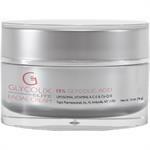 Glycolix is a line of alpha hydroxy acid skin care products. 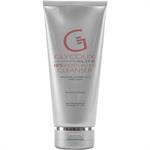 In particular, glycolic acid and lactic acid are primarily used. With repeated use, smoother, clearer skin is guaranteed to be revealed because of cell turnover and quickened skin rejuvenation. Glycolic acid is ultra-pure crystalline that not only softens your skins but moisturizes it as well and as a result, it powerfully eliminates dead skin cells that are clogging you pores while eliminating the typical redness/irritation that usually comes hand-in-hand with skin care formulas. The formulas will restore youth and vitality to your skin and will return to it the vibrancy and glow that you had when you were younger. All of these products are non-comedogenic , they are allergy-tested, not used on animals, and contain no artificial fragrances or dyes. It's not always easy to find a skincare product that reacts perfectly with your skin type. When it comes to Glycolix elite facial cream, moisturizing cleanser, body lotions, or serums, you can count on the purest of skincare products that are easy on your skin. 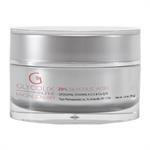 Glycolix is a line of skincare products whose main ingredient is alpha hydroxy acid. 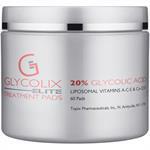 In addition, lactic acid and glycolic acid are main ingredients of glycolix treatments. 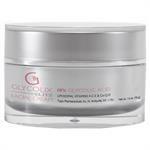 What's the big deal about alpha hydroxy, glycolic and lactic acid? The simple answer is that they're packed with vitamins, green tea extracts which provide antioxidant protection, along with hydroquinone and co-enzyme Q10. Each of these ingredients is essential for moisturization and hydration of the skin. Glycolic acid and lactic acid are powerful cleansers that remove dead skin cells that clog your pores from your skin while at the same time reducing the chance of irritation, redness, and other irritants, especially for those with sensitive skin, including individuals diagnosed with acne, dermatitis, eczema, psoriasis, or rosacea. 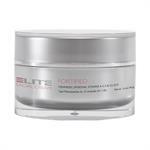 For example, Glycolix Elite Facial Cream comes in 10%, 15% and 20% options, focusing on moisturizing the skin while at the same time providing effective exfoliation of dead skin cells. The antiaging product is packed with glycolic acid, which mosturizes your skin, along with numerous vitamins, green tea extract, and co-enzyme Q10 to not only hydrate your skin cells but to provide protection against damage caused by free radicals. Free radicals are caused by overexposure to the sun and environmental pollutants, and toxins we find in our everyday environment. 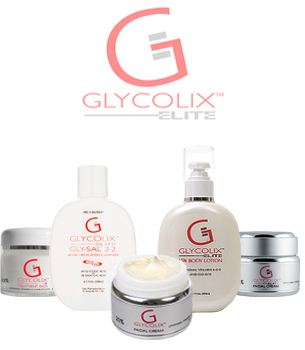 Glycolix Elite products are gentle enough on the skin for those with aging skin, oily skin, or dry skin. A small amount applied twice a day goes a long way toward replenishing, rejuvenating, and healing your skin while at the same time fighting the good fight against aging. One of the most beneficial results of products that contain antioxidants is that they help prevent the creation of fine lines, wrinkles, age spots, and areas of hyperpigmentation on your skin. Whether your twenty-something, or sixty-something, Glycolix skincare products are an excellent choice for your skincare needs.